In today’s video blog post, I have got an awesome set of hitting drills for bat speed and power! I call it the Power Pack! In this drill you will use a heavier bat, a lighter bat, and then a regular bat in sets of 5 repetitions to start, and gradually working up to 10 repetitions as you get better. 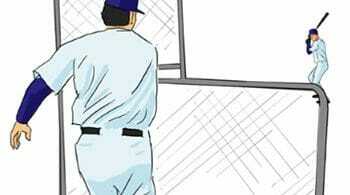 To begin, a partner will soft toss to you and you will try to hit the ball with the heavier bat. (This can be a regular bat with the weight plate attached, etc.) You want to try to swing as hard as you can. You don’t want to slow down just because the bat is heavier. Next you will move to the lighter bat and do the same actions, accelerating through the ball. After the lighter bat, you will move to your regular bat and try to transfer that feeling of accelerating through the ball with the regular bat. In this simple drill, you don’t need a partner – you are just going to toss the ball to yourself. You can toss it from the back or you can toss it from the front – whichever you are most comfortable with. This drill is more about bat speed and power, and less about mechanics of the swing. The important thing to remember here is that you are the one who is generating all of the power. 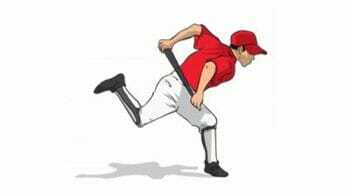 So you are going to toss the ball to yourself and then swing as hard and as fast as you can, imagining that you are hitting the ball over the center field fence. 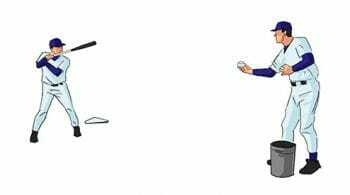 This drill is similar to the Self-Serve Power Drill, but in this drill, a partner is going to toss you a ball and you are going to walk to the plate, load up and then swing as fast as you can. Just as in throwing when you add a crow hop to generate more arm speed and power, you will add a hop before your hit, which forces you to swing harder than you normally do. The timing of this drill is: the hitter takes one step, and then the partner tosses the ball, and the hitter will hop to the plate in response, and hit the ball. 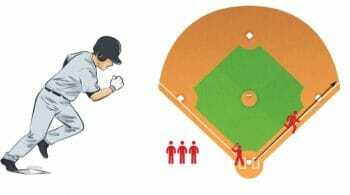 Then with the same feeling, stand in the ready position at the plate and feel the difference when you hit that ball. Share YOUR favorite hitting drills below! And don’t forget to Become a Fan on Facebook, where we discuss other great hitting drills, tips and a lot more! You can also Follow Us on Twitter and Hangout with Us on Google+!